Located along the Potomac River in Prince George’s County, MD, MGM Casino Resort is Maryland’s newest destination for premier gaming with 3,600 slots and 140 table games including poker. You will receive a free slot play bonus compliments of MGM National Harbor Casino. We extend a very special invitation to all the Bosss in the work force to take the day off and travel with Gunther Tours to MGM National Harbor Casino for an enjoyable 5-hour visit to play, dine, relax and indulge at one of the east coasts largest gaming, retail and entertainment destinations. Located in a waterfront setting along the Potomac River in Prince Georges County, Maryland, MGM Casino Resort is Marylands newest destination for premier gaming with 3,600 slots and 140 table games including poker. Upon our arrival, you will receive a free slot play bonus compliments of MGM National Harbor Casino. Dine at any of their nine amazing restaurants including Frederick, Maryland natives Bryan and Michael Voltaggio Brothers Steak House. The brothers are well known for their time on Bravos Emmy-winning season of Top Chef and they now join forces for the first time with their modern steak house. If you would like a change of scenery, the MGM casino is literally a short ride away from Tanger Outlets, which offers a retail experience for every kind of shopper. Tanger Outlets features great savings on merchandise from nearly 100 famous name brand outlets and designer factory stores where you will find 25% off retail prices everyday and dining opportunities. 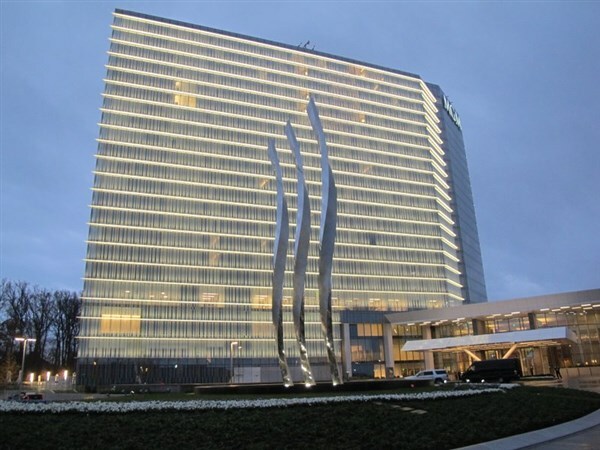 So, spend an exciting day at MGM National Harbor Casino, shop at Tanger Outlets and take advantage of even greater savings with valuable coupon books, included, or simply schedule your time to enjoy both. We extend a very special invitation to all the Boss's in the work force to take the day off and travel with Gunther Tours to MGM National Harbor Casino for an enjoyable 5-hour visit to play, dine, relax and indulge at one of the east coast's largest gaming, retail and entertainment destinations. Located in a waterfront setting along the Potomac River in Prince George's County, Maryland, MGM Casino Resort is Maryland's newest destination for premier gaming with 3,600 slots and 140 table games including poker. Upon our arrival, you will receive a free slot play bonus compliments of MGM National Harbor Casino. Dine at any of their nine amazing restaurants including Frederick, Maryland natives Bryan and Michael Voltaggio Brothers Steak House. The brothers are well known for their time on Bravo's Emmy-winning season of Top Chef and they now join forces for the first time with their modern steak house. If you would like a change of scenery, the MGM casino is literally a short ride away from Tanger Outlets, which offers a retail experience for every kind of shopper. 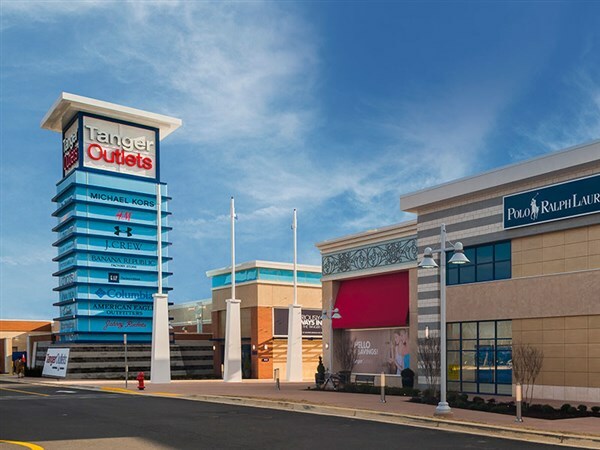 Tanger Outlets features great savings on merchandise from nearly 100 famous name brand outlets and designer factory stores where you will find 25% off retail prices everyday and dining opportunities. 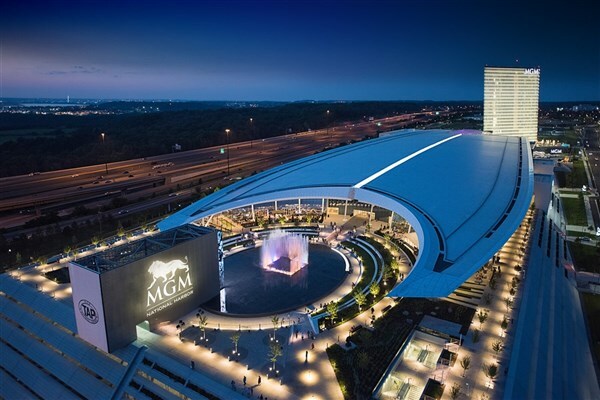 So, spend an exciting day at MGM National Harbor Casino, shop at Tanger Outlets and take advantage of even greater savings with valuable coupon books, included, or simply schedule your time to enjoy both.